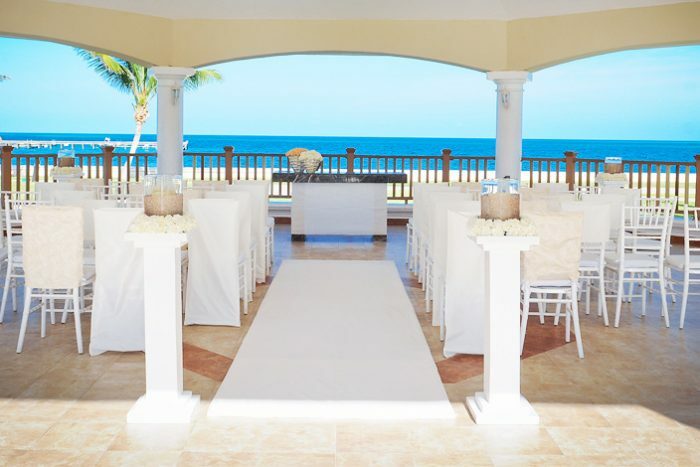 This brand-new resort offers an unparalleled experience to customize your destination wedding in every way you could ever imagine. 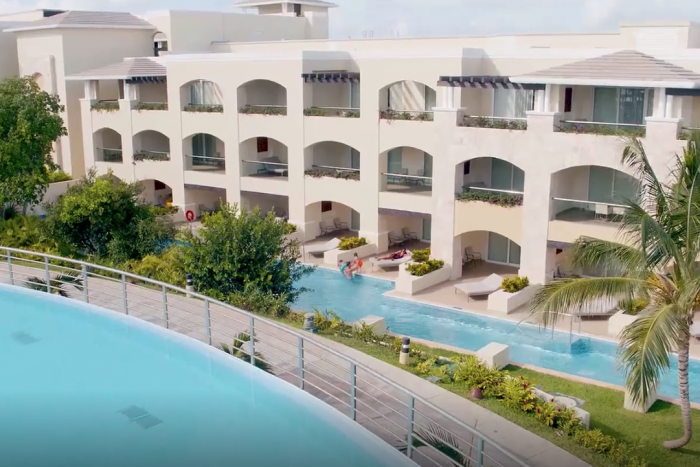 Whether you want to sit back and soak up the sun by the pool with your guests, feel one with nature as you do yoga on a paddleboard in the ocean, or even if you prefer to be more active and enjoy the water sports, this resort has got it all! Your destination wedding will truly be unforgettable, with the luscious crystal Cancun waters as your backdrop. The resort just opened in March of 2017, featuring tons of new chic restaurants, bars, giant luxurious guest rooms, and a 76,000 square-foot spa. With 9 outdoor pools, you and your wedding guests have endless choices to lounge poolside. Try participating in group swim activities, or taking advantage of the 2 adults-only pools. The brand new waterpark is now open! For further excitement take a group to hit the on-site bowling alley. Free one-hour private cocktail reception when you book 10 – 19 rooms. Free two-hour private function when you book 20 – 24 rooms. Free private event for up to 9 hours when you book 25 – 35 rooms. 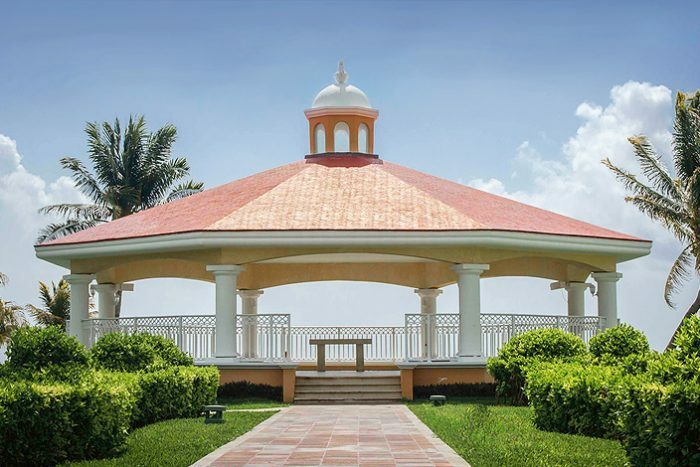 Beachfront – unlimited capacity, Catholic Chapel – 60 guests max, Tucan Gazebo – 120 guests max, Bugambilias Gazebo – 120 guests max. There is a Wedding Gazebo venue coming soon! The resort will host no more than 4 weddings per day, Monday thru Saturday. Weddings can be held any time between 11am – 6pm, and no weddings will be held at the same time or same venue. Rooms range from $250 – $300 per person per night. Every room includes wifi and a double whirlpool tub. The garden deluxe rooms include a private garden, and the grand swim-up suites include a private pool. Children 3 and younger stay free. There are 1316 total guest rooms with views of the garden or the resort. For guests looking for top-notch luxury or some extra space will enjoy the grand family deluxe room categories, which are made up of two connecting superior deluxe rooms. High-season months typically include April, May, June, July, December, and January. It is always encouraged to have your guests book their stay 6 months in advance. All rooms allow up to 2 adults and 2 children max. The presidential suites and grand family deluxe rooms are the only rooms to allow up to 6 guests max, between 4 adults max and 5 children max. All rooms will allow a maximum of 1 infant (ages 0-3) to stay in the same room with 4 guests. Children are ages 4 – 17. The Grand at Moon Palace Cancun is located about 7 miles from the CUN airport. There are 1316 total guest rooms with views of the garden or the resort. For guests looking for top-notch luxury or some extra space will enjoy the grand family deluxe room categories, which are made up of two connecting superior deluxe rooms. Guests have exchange privileges between nearby sister properties. 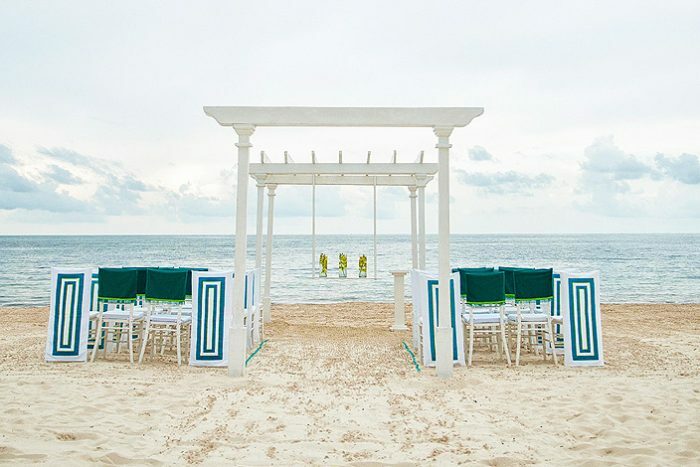 Q: What makes The Grand at Moon Palace Cancun such a great place for a destination wedding? 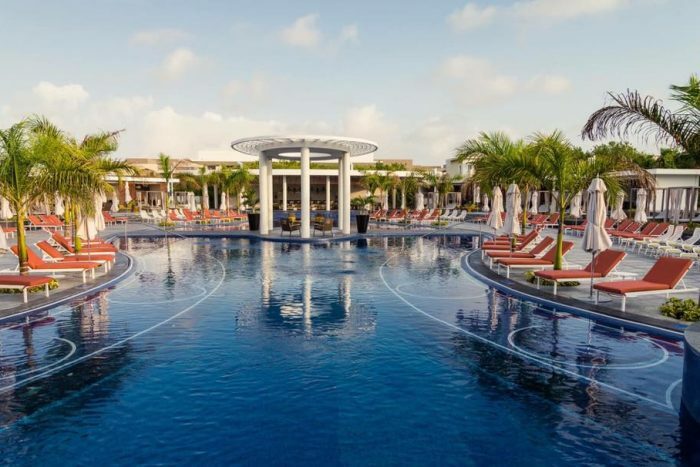 A: The Grand at Moon Palace Cancun is one of our newest resorts, which includes a grand crystal ballroom, and incredibly fun options the whole family will enjoy. Q: What compliments do brides typically give about The Grand at Moon Palace Cancun? A: The resort is stunning, the crystal ballroom has incredible views, and the service is amazing. Q: Can you tell us about a time when you saved the day for a bride? A: Once I had a bride who forgot to ask for one more corsage for her mother in law, and was so upset about it. Thankfully, it was easy and fun to make it out of nowhere, no one noticed, and we had a happy bride once again!